The drama serial began with a slow paced romance that was built but now has reached to point where it’s finally getting somewhere! After Nimra realized that she isn’t the love of Ghaziyan and will probably never be happy with, she refuses to marry him. Right when her nikkah was about to take place, this happened. It would’ve been better if Nimra refused to marry Ghaziyan on the first place rather than doing all of what happened, well -better than never. It’s a good thing that Zakia wasn’t there to attend her daughter’s wedding, she gave her ego a lot more priority than her daughter. The great thing about this that Ghaziyan now finally can be with Zubaria after Nimra made the two sign the nikkah contract. The two lovebirds are finally married! Furthermore, Zakia’s reaction on this marriage was worse than thought, how could her daughter give up the love of her life for another woman? She should understand that Nimra only wanted peace of mind for everyone. Hence, she took this major step. It’s hard for her as well, but as always Zakia doesn’t seem to realize that. On the other hand, Zubaria’s brother loses all his temper and complains that how could his father get Zubaria married without consulting him, but in the heat of the moment that was the sole option. Why can’t he look at the brighter side and be happy for his sister? It’s only nikah, the rukshsati is still to be done. Will Zakia ever forgive Ghaziyan and her brother for what they did do Nimra? Finally Ghaziyan found his true happiness and Zubaria caved in front of his love! There’s so much more to look forward to in Morey Saiyan, when will the couple start living with each other? Will Nimra ever get over Ghaziyan? Above all what does the future hold for this duo? 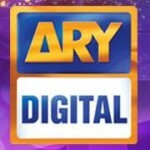 Don’t miss out on Moray Saiyan only on ARY Digital on Tuesdays at 9.00 pm.